Nylon Triangle Choker Slings are known for their effectiveness in choker hitches but also work well in vertical and basket lifting. The triangle hardware can help extend the sling life by protecting the webbing from abrasion. Hardware end fittings may also be reused if the sling would need replaced therefore lowering replacement costs. CORE™ Nylon Triangle Slings are a smart, economical choice in regards to quality and safety. Fabricated from flat nylon webbing, the choker sling features an alloy steel triangle and slotted triangle on each end of the strap. Our infused nylon webbing is made in the USA. Specially designed for sling use, CORE™ industrial strength nylon provides abrasion resistance. CORE™ choker hardware slings have a heat-imprinted sewn-on tag and meet or exceed all present OSHA and ASME B30.9 Standards. 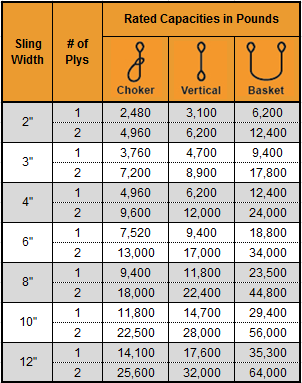 Nylon triangle choker slings are available from CORE™ Industrial Lifting Slings in various sizes and rating capacities. 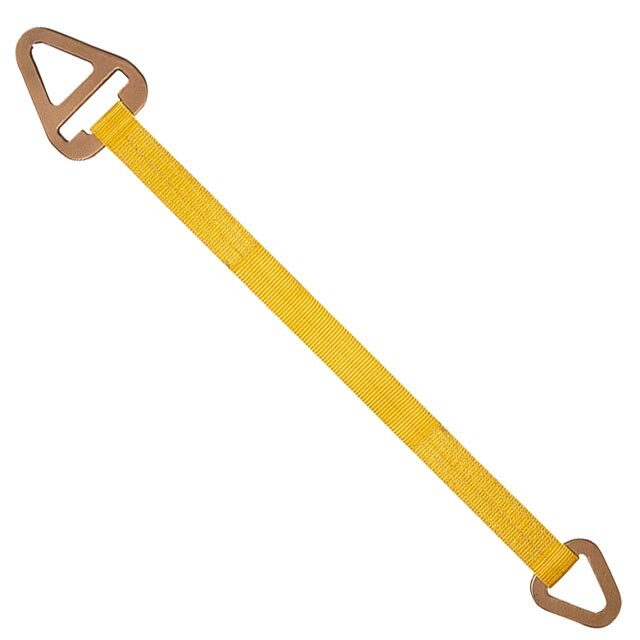 Also available in polyester webbing and with aluminum fittings, choker slings can be fabricated to meet your lifting needs. Call our trusted lifting experts at 888-794-0587 Monday - Friday, 7am-5pm CDT and let us design a quality sling that meets your needs. If your application does not require a choker hitch our Nylon Triangle Slings may suit your needs.